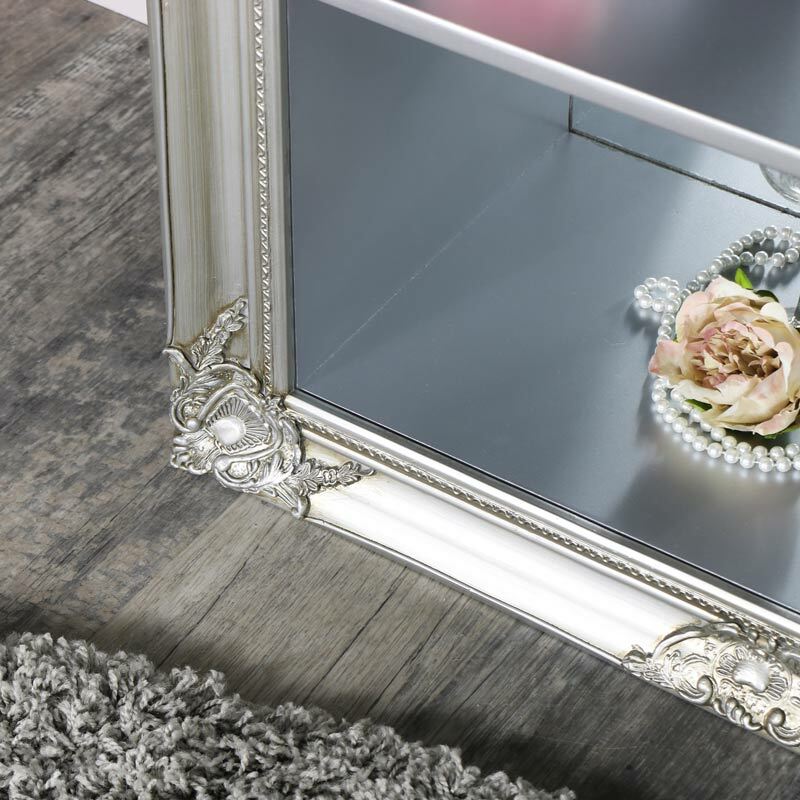 Give your most treasured possesions the best home with this stunning display unit. 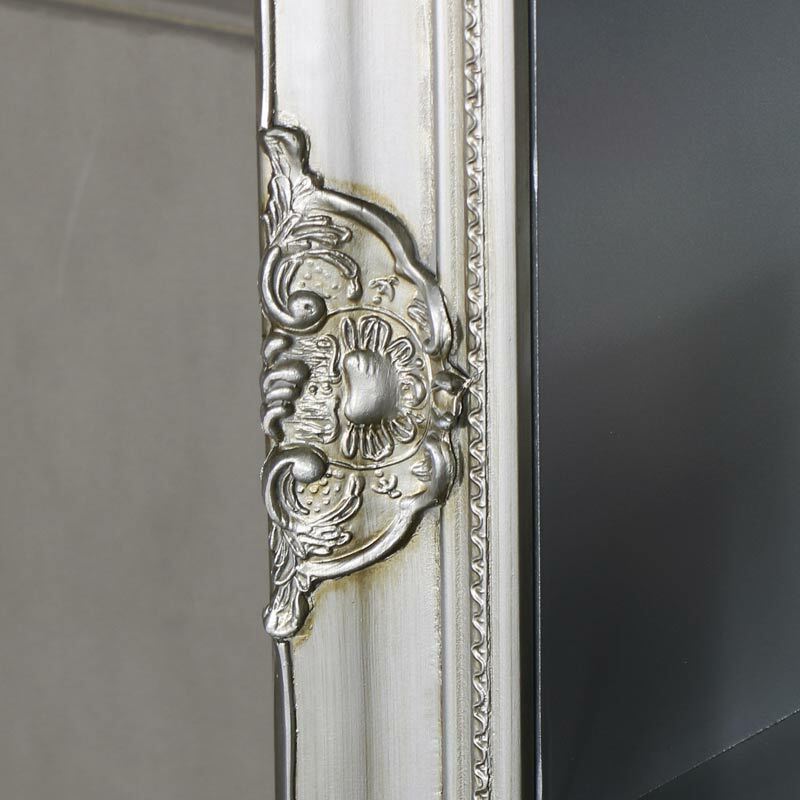 Silver baroque style frame with a mirrored back reflecting the silver shelves and beautiful display. Stunning French style perfect for home and retail use. Freestanding design with ornate carved frame that surrounds 4 recessed shelves. This shelving unit will add a dramatic look to a living room or hallway. A great look for a boutique or salon with the mirrored back ideal for highlighting products for sale. 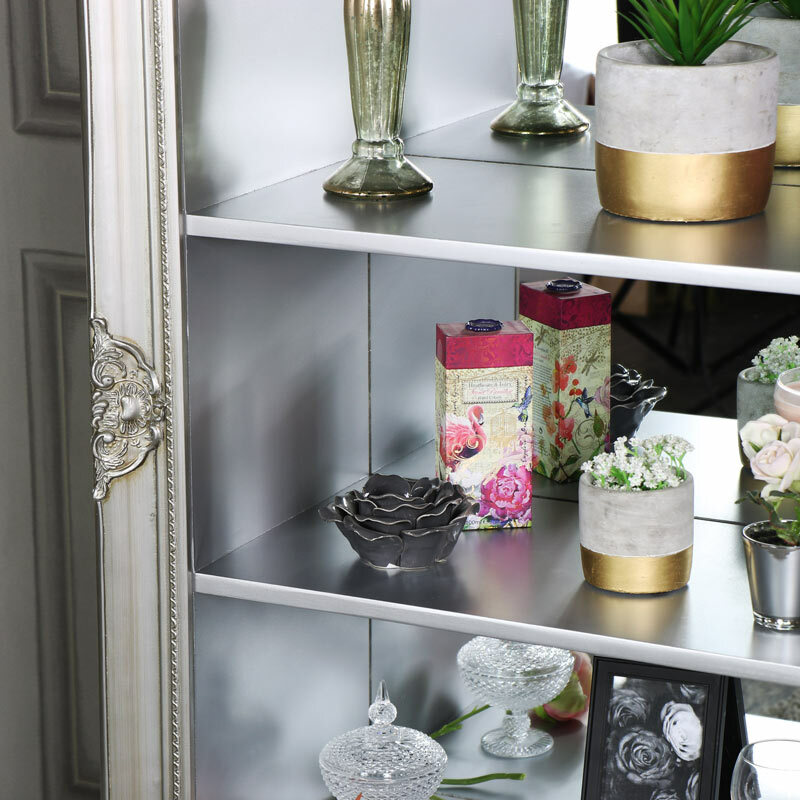 Constructed from wood with a resin surround and shelves all painted in a silver finish with a mirrored back. This unit can also be wall mounted with brackets on each corner. The unit is quite heavy so care must be taken to use the correct fixings (not included). 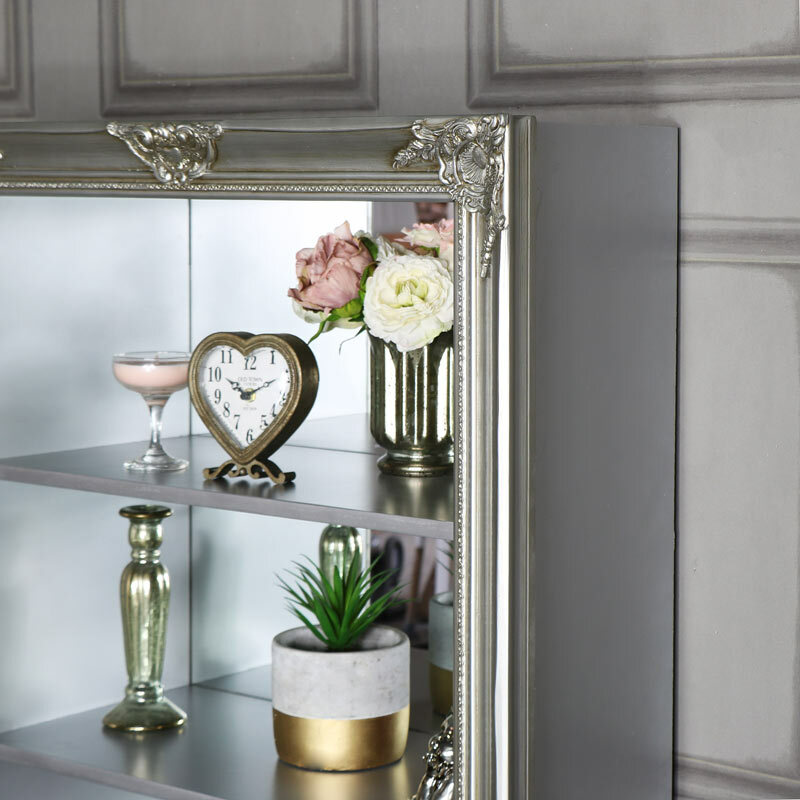 We have a great range of storage solutions for your home in a wide selection of styles, colours and sizes.